Deus Ex: The Fall Is Out. Is It Any Good? There are two groups of people who will play Deus Ex: The Fall. The first is a casual mobile gamer, looking to play a big-budget shooter on-the-go. Those who would simply wish to kill some time on their commutes to work, and feel no affinity to Ion Storm’s seminal franchise. The second is a someone who played the original Deus Ex in 2000, and for whom the franchise still holds a place in their heart. Those who still suffer from pangs of pain when they remember the lame-duck Deus Ex: 2 and find themselves humming the melody to the iconic theme-song Best of OCRemix: Chill Out to These 5 Deus Ex Tracks Best of OCRemix: Chill Out to These 5 Deus Ex Tracks They’ve taken the original tracks, which were all right in my opinion, and transformed them into music that could rival the best electronic artists of today. Read More whilst waiting for an elevator, or taking a shower. I’m firmly in the latter group. I’ve probably played the original Deus Ex about 15 times, and consider myself to be a Deus-Ex super-fan. Deus Ex: The Fall is not for me. Released in 2014 and launched on Android and iOS, it aims to bring the Deus Ex franchise to mobile. And it falls short of the original iconic game. Way, way short. Despite that, it remains a relatively competent First Person RPG. I grabbed a copy from the Google Play store, and played it through. Here’s my thoughts. The Deus Ex games were celebrated for its narrative, 3 First-Person Shooters That Actually Have Great Stories [MUO Gaming] 3 First-Person Shooters That Actually Have Great Stories [MUO Gaming] First-person shooters (or FPS) have long been a genre that is based around competition. Ever since the invention of multiplayer gaming, it only made sense to have shooters as a key genre. I once wrote... Read More and being set in a seedy world of deception, violence and intrigue. The first game brought the player into the midst of a futuristic power-battle involving the Illuminati, the UN and terrorists. 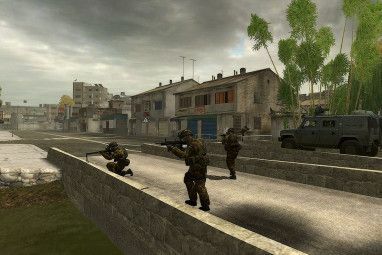 This theme of subterfuge and conspiracy was continued into the other games in the series, including Deus Ex: Human Revolution, which this game follows. You are placed in the shoes of Ben Saxon; an augmented former British SAS soldier who strongly resembles the product of an unfortunate teleporter accident involving Jason Statham and a Ford Fiesta. Saxon’s past is murky, with previous ties to a shadowy band of paramilitaries called The Tyrants, whom he is trying to bring down with the assistance of Anna Kelso, a fugitive federal agent. The core of the game brings you to the sweltering slums of Panama City, where you are tasked with investigating a shortage of a drug required for the survival of biomechanically augmented humans. Meanwhile, you are pursued by shadowy PMC company Belltower and vicious Panamanian street gangs, all of whom have a propensity for violence in the extreme. Controls for the most part are pretty decent. A small area on the left hand side is reserved for moving the character, whilst the right hand side is reserved for moving the camera. There are also dedicated buttons for shooting, reloading and throwing grenades. Irritatingly, you can also move to a place in the map by touching it. This sounds great at first, until you consider that an accidental brush of the screen can result in abandoning safe cover and receiving 30 shotgun rounds to the face. And this happens. A lot. At the start of the game, you are provided with either a pistol or a non-lethal stun gun. Your repertoire of firearms is increased by picking up the proceeds of felled adversaries, although this is pretty much limited to handguns, shotguns and assault rifles. Should you want to get your hands on some of the sexier weapons, you’re going to have to fork out for it with credits. These are acquired by killing adversaries, completing quests and looting buildings. And to the credit of Square Enix, you can get your hands on a pretty incredible wealth of weapons without resorting to in-game purchases. Dungeon Keeper, this is not. Another facet of character development is augmentation. Whilst hot on the tails of BellTower, you complete side-tasks and mini-games and gathering experience which can be spent on special powers, which make completing certain tasks that bit easier. Every facet of the Deus Ex: The Fall aesthetic seems to be derived from Human Revolution. Surprisingly, this translates quite well to touch screens without looking off. Although, inventory management is one aspect of gameplay which is infuriatingly bad. What made the original Deus Ex game legendary was its watertight storyline. Seriously. If Deus Ex was a film, it would be pulling in more Oscars than a James Cameron flick. Deus Ex: The Fall lacks this polish. Indeed, the storywriting and dialogue A Day in the Life of a Videogame Scriptwriter [Feature] A Day in the Life of a Videogame Scriptwriter [Feature] If you’ve ever played a videogame that you really enjoyed, chances are you haven’t noticed the characters or any speech in the game – or if you have, you probably won’t have considered that they’ve... Read More that made the original Deus Ex such an incredible game feels very much like an afterthought here. Characters are introduced, but not explained. At the start, you are paired up with Anna Kelso; a fugitive federal agent who is hiding from the law in a Costa Rican tourist resort. And yet, the relationship between Saxon and Kelso isn’t explained. Nor is the reason behind Kelso’s fugitive status. This inconsistency is repeated throughout the game, and makes for a confusing story. The plot disappoints, and feels like a series of loosely related events. The prologue mission brings us to a plush Muscovite apartment block, where we are tasked with assassinating a man we are told is responsible for the death of Ben Saxon’s former military squadmates. We later learn that this man is innocent, but isn’t fully explained why. Also unexplained is why this relates to the core gameplay, which is set in Panama. Likewise, we are later tasked with infiltrating the base of a local gang. After shooting your way in – killing countless gang members in the process – you then come face-to-face with the gang leader, whom you have to interrogate. After flattering him for a bit, he totally forgets the fact that you killed his friends, and lets you out of the base without any trouble. Surreal. Performance on a 2012 Nexus 7 is playable, even in high-intensify firefights. However, sound is consistently unlistenable, and full of more glitches and breaks than a chiptune album. After a while, I turned off the audio and started listening to NPR on my laptop. Gameplay is full of embarrassing bugs which detract from the visceral realism of the Deus Ex games. There’s pretty much no consequences to anything you do, and the behavior of NPCs is utterly erratic. An example of this would be in the Hotel Etana, where you have to check up on the well-being of a World Health Organization inspector. Upon entering, a security guard inexplicably started opening fire upon my character. After shooting him in the head in full-view of everyone in the room, I then proceeded to walk up to the hotel receptionist who politely told me that the hotel had no vacancies, as if nothing had ever happened. Likewise, you can run amok opening doors with shotgun blasts, and nobody will bat an eye. Yet if you try to hack a computer in full view of an armed NPC, you can be sure of trouble. Those expecting the long gameplay of the original Deus Ex will be disappointed. The Fall can be finished in a couple of hours. When I say ‘finished’, I don’t mean ‘speed run’, but rather completing every quest. Exploring every area. Everything. Fundamentally, Deus Ex: The Fall is a big-budget console game in your pocket. The fact that the visual experience isn’t too detached from the console and PC versions of Human Revolution is a testament to that. Graphics aren’t pixelated and blocky, and whilst some characters look as if they are suffering from an extremely debilitating dermatological condition, the quality of NPC design is exemplary. Despite the brevity of the game, it remains a pretty entertaining shooter. Whilst some aspects of the game’s plotline had me cringing at times, I still found it to be a reasonably fun romp through a futuristic dystopia. As previously mentioned, level of difficulty isn’t so hard, that you’re forced to buy in-game purchases. This is a big thing for me, as it’s suddenly became a thing for games from my childhood to be re-released as cynical, avaricious grabs for cash at the detriment of gameplay. Yes, I’m looking at you, EA. Furthermore, the open-ended nature of the original Deus Ex games is retained. Challenges can be solved with stealth, brute force or diplomacy, or a combination of all three. However, this doesn’t apply to the storyline, which appears to have only one conclusion. Deus Ex: The Fall ends with ‘To Be Continued’. I’m not sure if I want to see what happens next. I don’t think it’s for me. As someone who grew up playing the original, lauded game and who really gets a kick from a killer narrative and phenomenal storytelling, Deus Ex: The Fall left a sour taste in my mouth. With that said, those looking to while away a commute with a first person shooter won’t be disappointed with The Fall. For all of its flaws, it’s still a pretty fun game. Have you played it? Enjoy it? Hate it? Leave me a comment below. 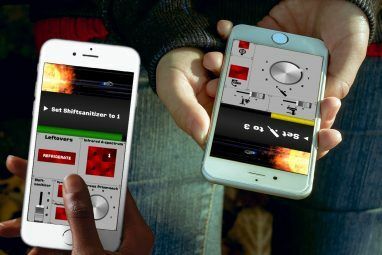 Explore more about: First Person Shooter, iPhone Game. I wasted money on this crap. The game is terrible compared to the previous part. 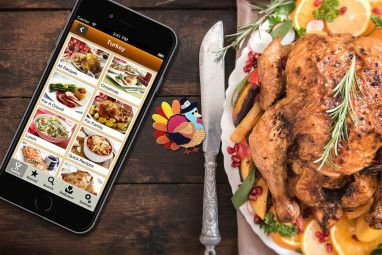 The IOS Version had the same issues. Nothing like ducking cover in a gunfight and then while trying to reload you moved yourself on the map... Got killed a couple of times but finished the game to its "conclusion"... Now since it is coming to Steam, will it be the game be the same, or will it be concluded later? If they release it on Steam, I certainly hope they get some better voice actors in! 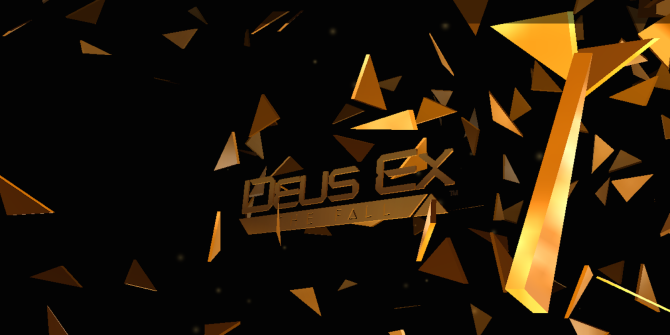 Deus Ex: The Fall was first released in 2013 for iOS and in 2014 for the Android port.